Most of it he brought home (who can live of stollen for a sustained time?) and there it was, waiting for eager eaters, where there were only people who, after the holidays, were “stollened-out” for the rest of the year. St. Honoré, the patron saint of bakers, must have heard my weary sigh, when I saw this Stollen of Christmas Past. 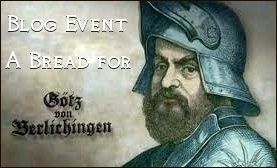 The very next day I found in my blog list a post by master baker Wolfgang Süpke: the leftovers Stollen Torte! 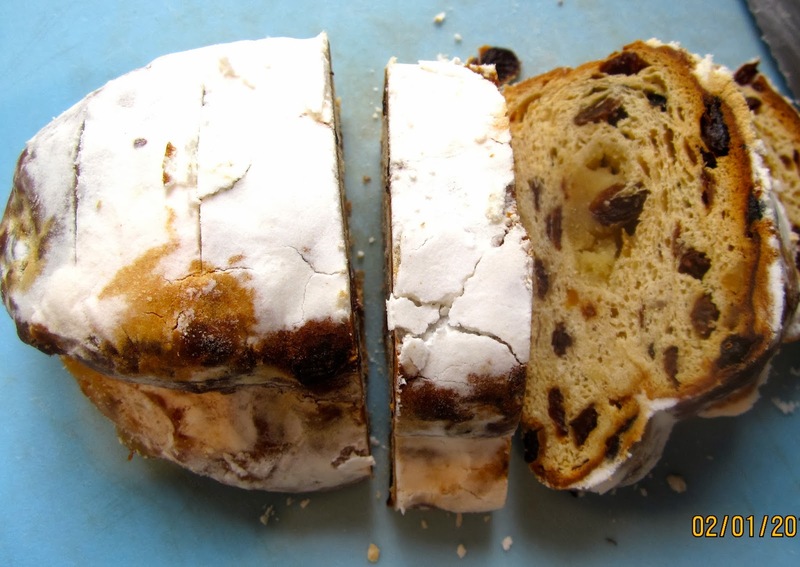 Having a smaller piece of stollen, I downsized the recipe from 28 cm/11″ diameter to 21 cm/9″. Since the store bought stollen was quite sweet, I reduced the sugar a bit, and added some lemon and vanilla. 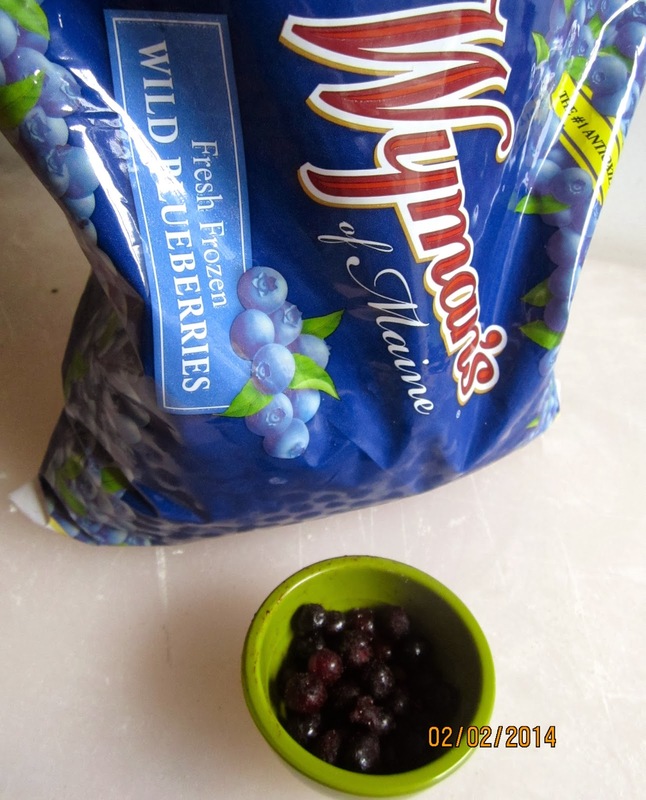 And, living in Maine, I used (frozen) wild blueberries instead of a preserve (and doubled the amount.) The quark in the filling I substituted with cream cheese. We liked the torte very much. The sweetness of the stollen bottom was balanced by the berries and slightly lemony cream filling. Grease 21-cm cake rim (or ring of a springform pan), then dust with powdered sugar. Place on a parchment lined baking sheet. Fill ring with stollen slices, filling out holes with smaller pieces. 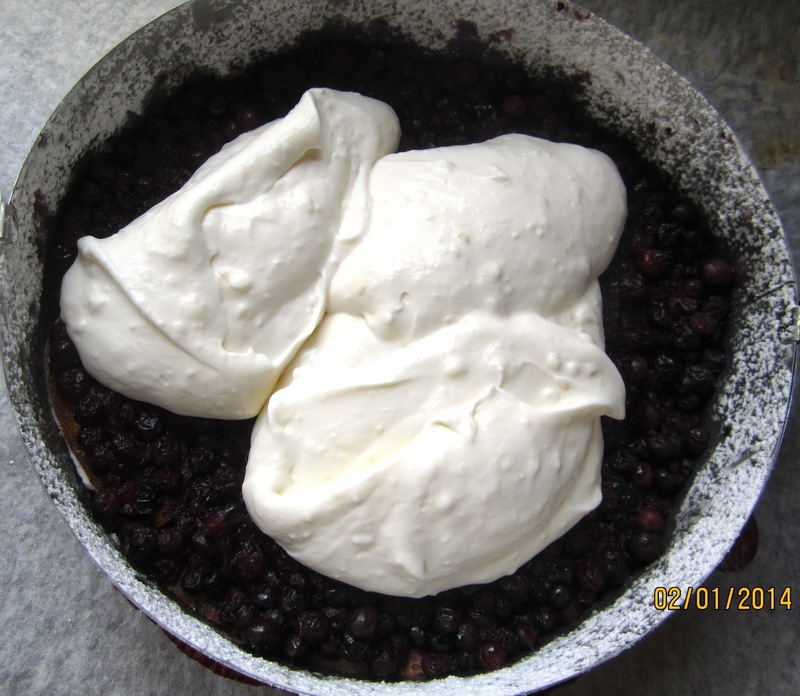 Spoon cooked blueberries evenly over stollen bottom. In a small bowl, stir gelatin into the water, and let sit until water is absorbed. Microwave until mixture is dissolved, stirring now and then. 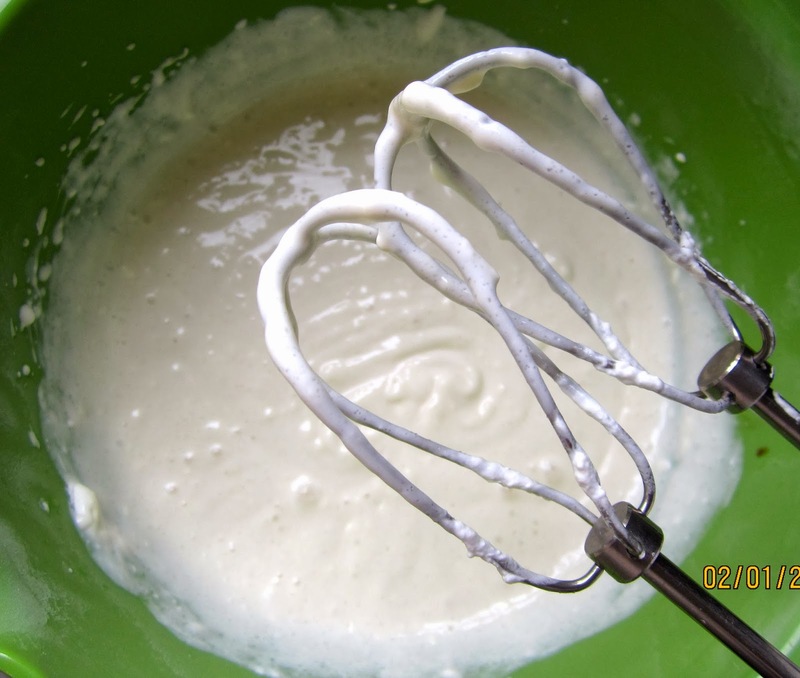 Whisk cream until soft peaks form. In second large bowl, mix cream cheese, yogurt, sugar, vanilla, lemon juice and lemon zest, until well combined. Stir in whipped cream, mixing well. Pour gelatin in cream mixture, stirring until well blended. 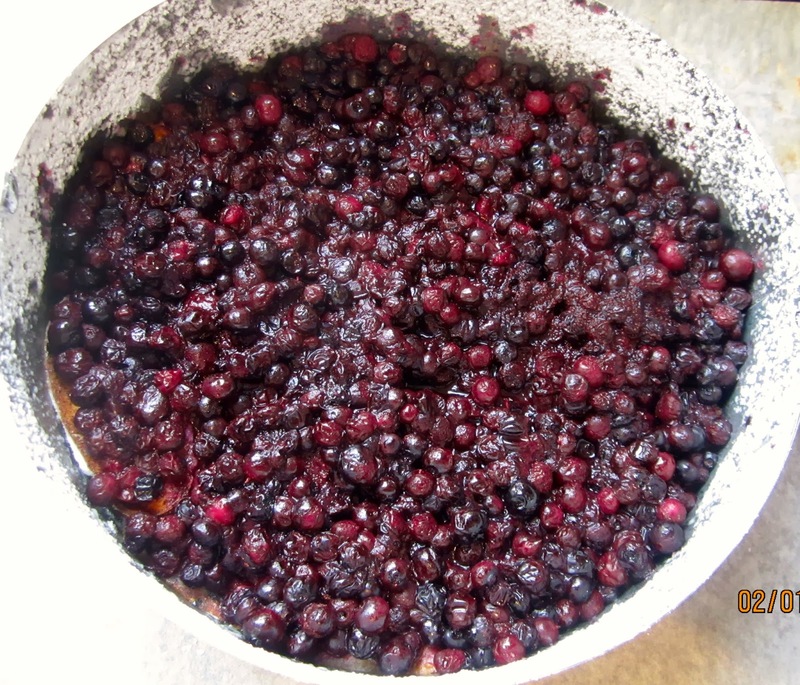 Pour filling over blueberries, smoothing surface with rubber spatula. 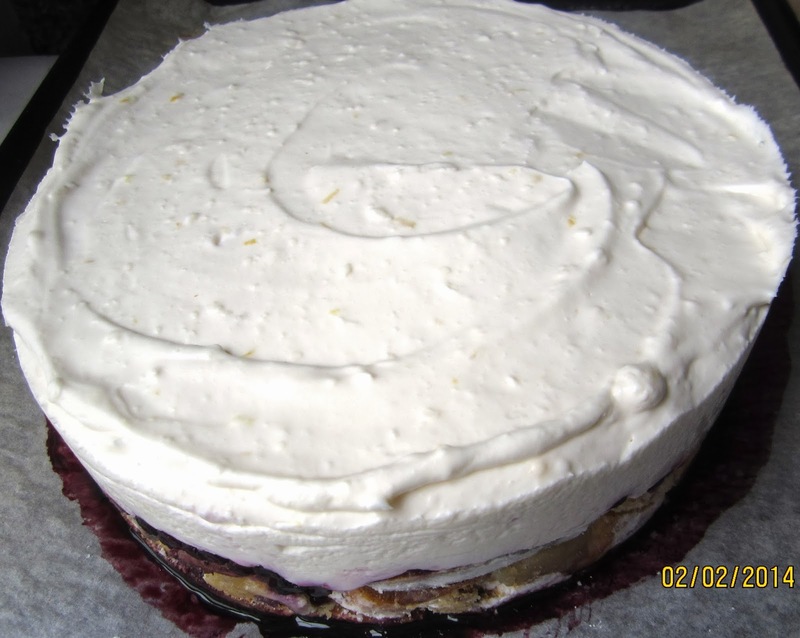 Cover, and refrigerate torte overnight. To serve, remove cake ring. 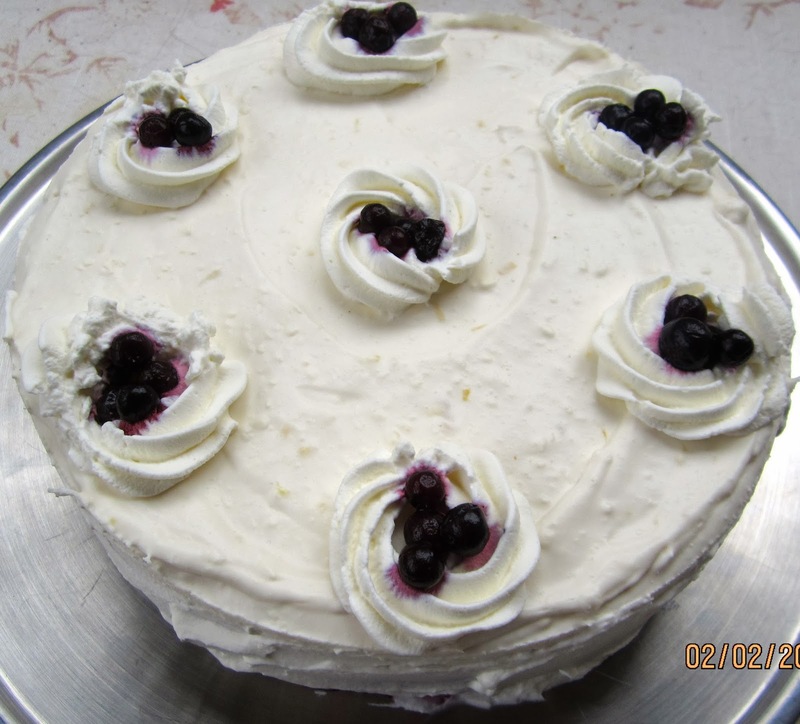 Frost sides with whipped cream, then decorate the top. 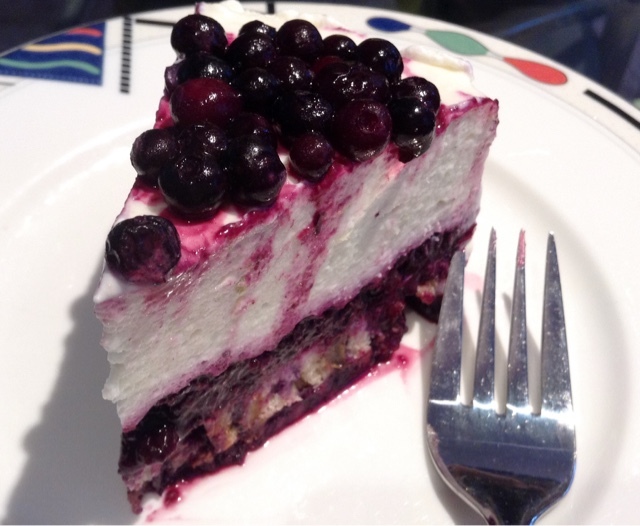 (I made small circles on top and fill them with blueberries.) Or simply sprinkle it with blueberries. 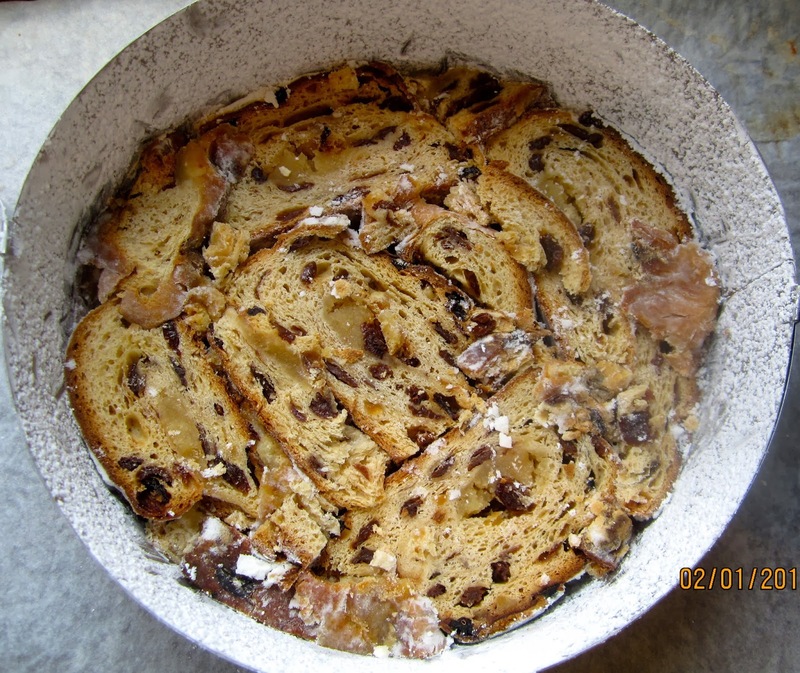 Update 12/30/15: In the meantime, I have made the Stollen Torte with leftover stollen, panettone, and poppy seed stollen – all tasted wonderful! Previous Post EINKORN HAZELNUT LEVAIN À LA FORKISH – PINCHED, NOT KNEADED! Next Post FROZEN YEAST DOUGH – WILL IT SURVIVE? Exactly! At some point you can't see Stollen & Co.anymore! 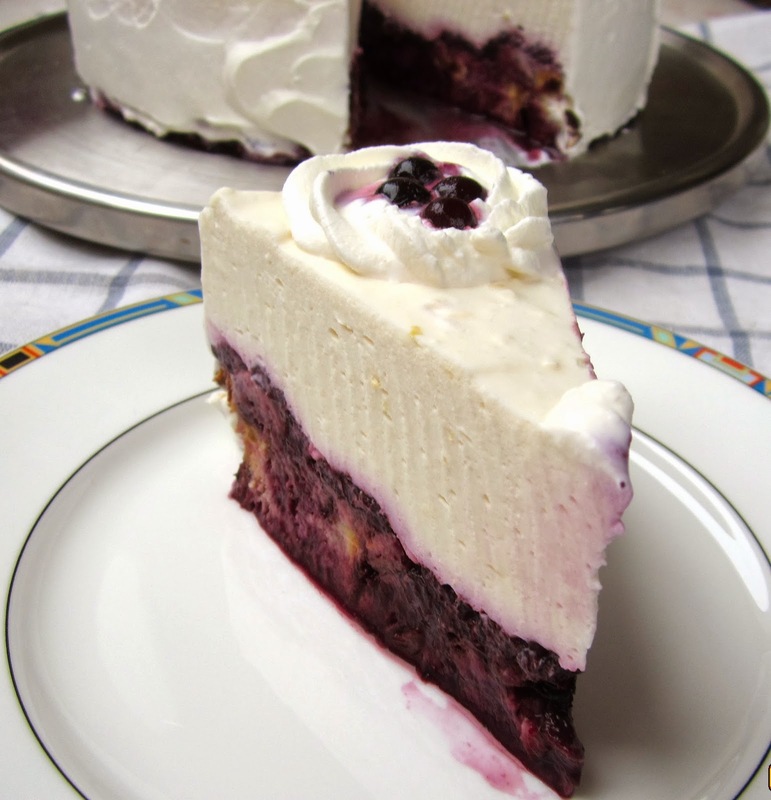 But this is a great recycling idea, and the torte tastes really good. Raspberries would be good, too. Boh, too bad I did not make any Stollen this year. I can literally imagine the great flavors of this Torte, awesome stuff. Makes me want to start making a Stollen right now haha. One stollen per year is usually enough for me. After finishing my Mohnstollen I wasn't too happy when my husband brought this post Christmas special offer home, and therefore very enthusiastic to find a way to work it into something totally different. This looks wonderful Karin. What a great use of leftover Stollen. I think I could easily eat that whole thing in one sitting :). I never had any leftover turned into something so good. Definitely something I'll make again when next season's Stollen time is over.